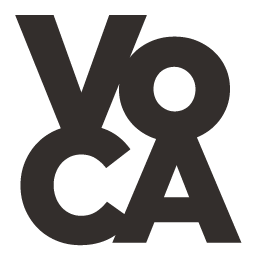 Voices in Contemporary Art (VoCA) is a non-profit organization that generates critical dialogue and collaborative programming around the stewardship of contemporary art. Our network consists of artists, conservators, curators, registrars, fabricators, arts administrators, and educators, and aims to serve as a nexus for educational programs, communications, and creative resources. Increasingly over the twentieth century, artists experimented with an unprecedented range of new materials and technologies–often with untested longevity and built-in obsolescence leading to physical instability. The conceptual concerns that underpin much of contemporary art make its conservation more than an effort to arrest physical change. The artist’s voice is primary in developing preservation strategies and their participation is essential for future conservation and presentation of their work. As such, VoCA Journal highlights and archives progressive artist-centered projects, thereby creating a dynamic repository for these initiatives while also connecting members of our network both locally and across the globe. The idea for this publication grew directly out of our other program streams–the VoCA Workshops and VoCA Talks–where many participants indicated a need in the field for a forum in which to share the outcomes of their collaborative projects and interviews. VoCA Journal provides a robust information sharing platform where those in the VoCA network (and the contemporary arts community at large) can simultaneously present and archive the results of the fruitful conversations they engage in with artists.